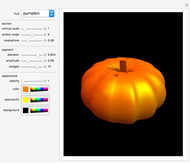 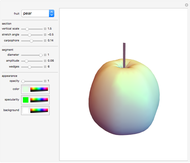 This Demonstration generates models for various fruits from a basic torus. 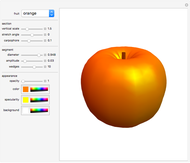 You can select a fruit to show its geometric shape and change its parameters and color. Frederick Wu "Toroidal Fruit Models"